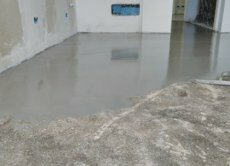 APSE company produces concrete floors, resin flooring since 1964! 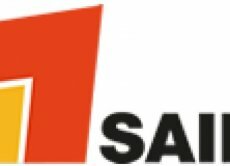 We welcome you in APSE company, leader of the Italian construction market. Our first factory of building meshes was founded by Riccardo Vavassori in 1964 in Ciserano, northern Italy. Thanks to a continuous research in our laboratories, we develop epoxy and polyurethane resins, mainly used for industrial floors. 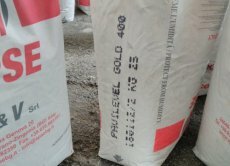 We also produce decorative plasters, including microcement and other mineral components. Our production is fully in line with the demands of the modern construction market. APSE: only ecofriendly high quality materials. The key to success of our company is a permanent research in our laboratories in the field of construction technology, which allows us to offer an innovative product in advance of the rest of the market. The high quality of our products, respectively, gives the company a leadership position on the market. 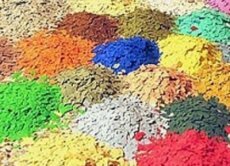 The control of the production of hardened concrete, special mortars and resins, is certified by the quality management system according to standards of UNI EN ISO 9001: 2008, issued by Moody International. 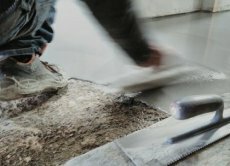 One of the main sectors of our activity is the production of printed and concrete floors. Thanks to our laboratory research, we have improved their features, meeting all the needs of customers. The absolute trust of the latter is the result of our good reputation, professionalism and quality of our materials. 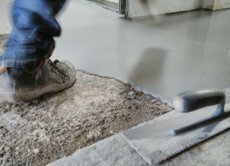 Therefore, concrete printed floors are the best solution for those who want a solid, durable and ecofriendly floor. 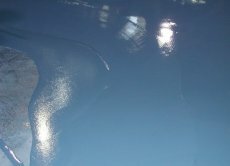 We offer a wide range of self levelling resin coatings. They are essential if you need a solid and durable floor. 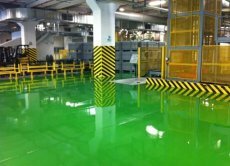 We have a variety of industrial floors, polymer resin floors and other coatings. 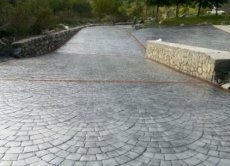 They are specially designed for places with continuous mechanical and physical stress and wherever there is a need for a durable and practical coating. In addition, this type of flooring will be a perfect solution for the places, where in addition to the above mentioned features there is also a need of a good looking surface. For example, in kindergartens, hospitals or other public places. With a variety of textures and colours, you can customize our printed concrete floors and give them a unique look. Resin floors have many positive qualities: solidity, high adhesion, resistance, convenience and quick application. Furthermore, the possibility to obtain any colour or texture allows to create floors that will fit in any interior design! In addition to the information support for dealers and refresher courses for craftsmen, we offer a mutually beneficial cooperation, which includes attractive prices, a system of discounts for regular customers and the possibility to purchase directly from the manufacturer. We also offer the possibility of a successful start up based on quality building materials and continuous technical and marketing support. flexible system of discounts and terms of cooperation.